With the holiday season quickly approaching, I always love being able to add a personal touch to small gifts that I pass to coworkers, friends, and the people that I volunteer with. 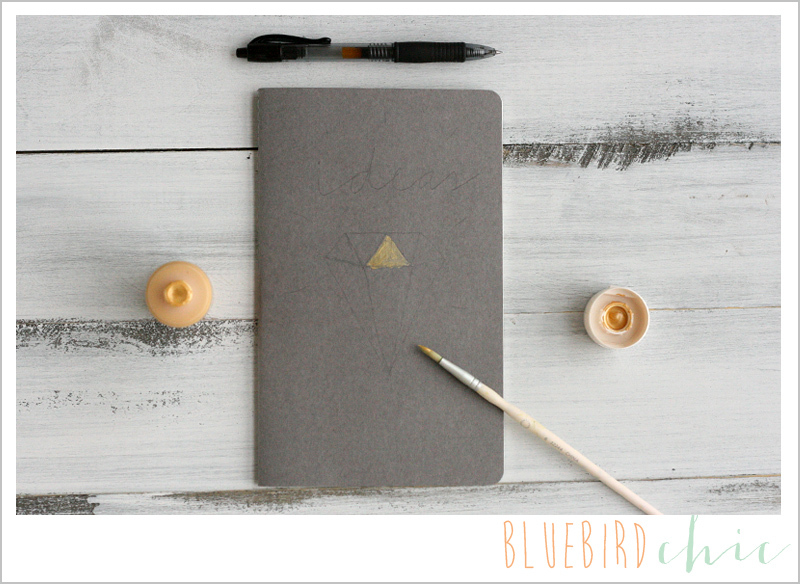 This fun DIY notebook is the perfect little something – it only takes five to ten minutes to pull together once you have the supplies on hand. 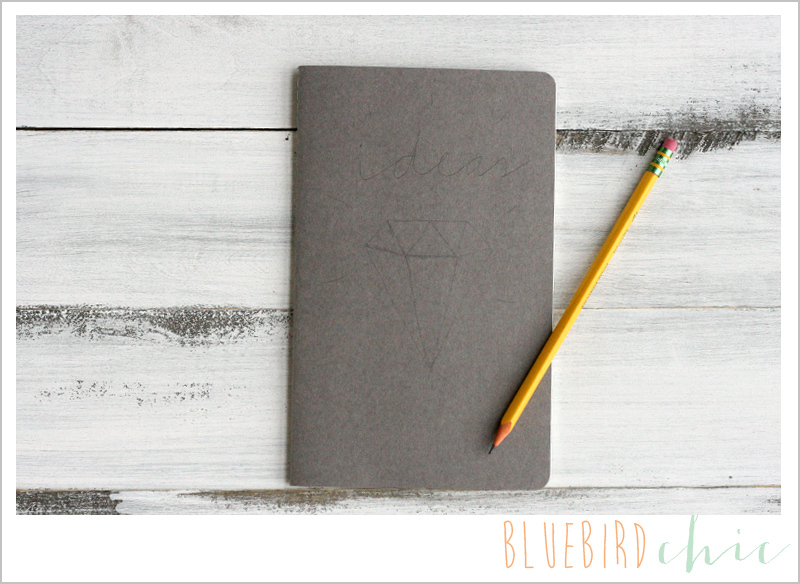 Sketch the outline of a diamond on the cover along with the word “ideas”. Add a few lines out for shimmers. 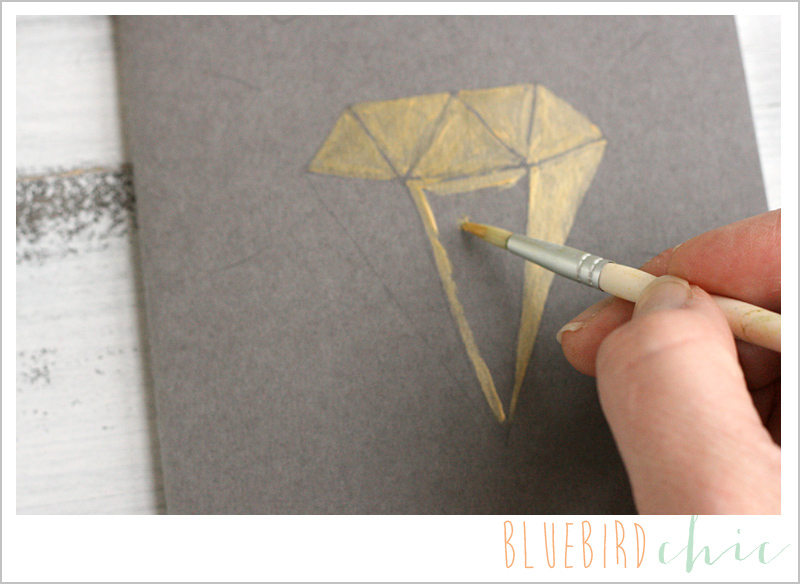 Fill in the facets of the diamond, with the metallic paint and fine tip brush. I left my sketched lines open to give the gem definition. Add a few brush strokes of metallic paint for the shimmers. Trace the word “ideas” in black ink. Brilliant. And economical, too! 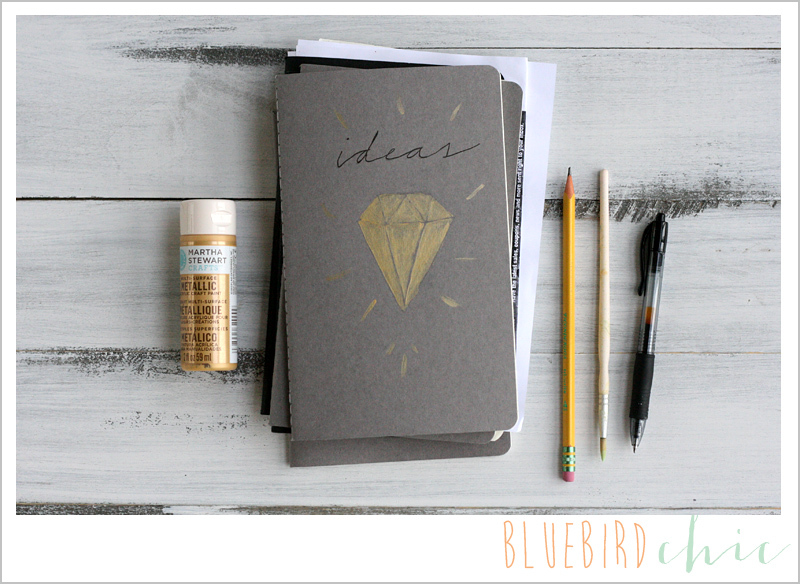 Each notebook came out to roughly $4, with the paint around $3.50. Of course, one bottle of paint will make more notebooks than I will ever give this year. 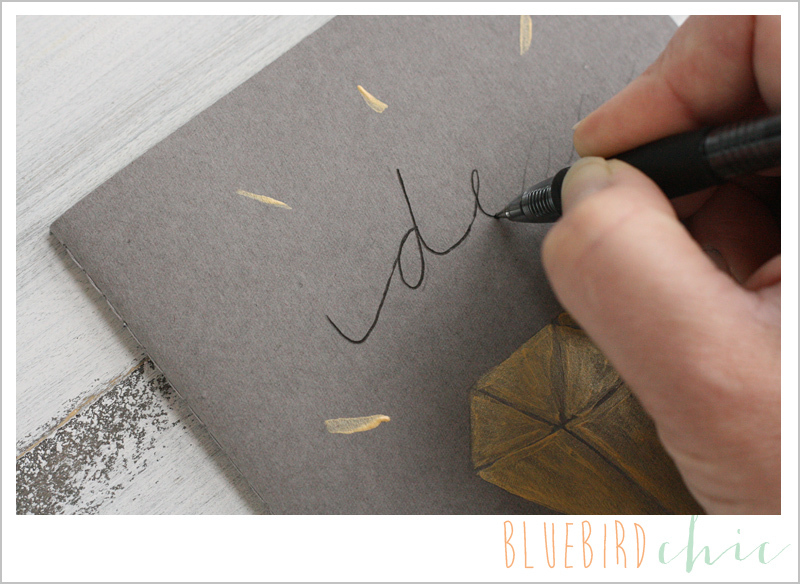 I also love that I can customize them with several different designs – hopefully I’ll have a chance to check in and share some of the other ones that I come up with!